Although Maersk will be sending its Venta Maersk vessel to collect data from the Arctic sea route in the next few days, research has shown that the Suez Canal Route is more cost effective and will remain unaffected. Maersk has explained in a press release that this is a one-off trial to collect data and try the path in real life. 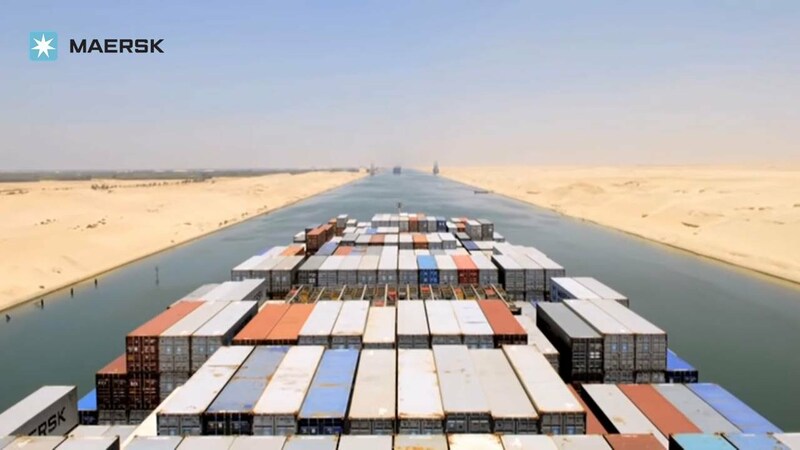 The company has explained that it will continue to sail through the Suez Canal route. In the next few days Danish Maersk will be sending its Venta Maersk vessel loaded with Fish from Russia and electronic products from South Korea; the Venta Maersk, which will be the first container ship to go through the Arctic sea route, will collect scientific data. “Other types of vessels have already used it, including Maersk’s Chinese rival COSCO, according to the Arctic Institute,” explains Reuters’ Stine Jacobsen. The vessel will go from South Korea to St. Petersburg. “The Northern Sea Route runs from Murmansk near Russia’s border with Norway to the Bering Strait near Alaska. Ships sailing it require a permit from Russian authorities,” according to Jacobsen. Russia aims for this path to become the new Suez Canal. Despite Maersk pointing out that the Arctic route has many challenges, some have excitedly and, to an extent, prematurely started to argue that the days for the Suez Canal are over, explaining that the other route will take less time, meaning more commodities can be sent. Although the time factor may be on the side of the Arctic route and the fact that climate change has played in favour of the said route by melting sea ice and enabling ships to pass more easily, full-rounded research suggests that the Suez Canal will continue to be the best route to take and will remain a favorite. The Venta Maersk, one of the most advanced and largest (3,600 20-foot container capacity) ice-class vessels, making a trip like this is seen as one of the expansion steps that Russia aims to do in the Northern Sea. “A well-respected company like Maersk sending a container ship through the Arctic, definitely signals there’s something there,” explains Malte Humpert, a senior fellow at U.S.-based think-tank Arctic Institute. The Northern Sea route has one clear advantage over the Suez Canal route: Time. However, time is not the sole factor that shipping companies look at when they are choosing their route. Thus, his research suggests that although the time taken could be less, there are more expenses needed in going through the Arctic route, as more ships are needed to get the sea ice out of the way during most of the year. Another important factor to look at is the distance in nautical miles. The Suez Canal passes through the Canal and the Indian Ocean and comes up to 12.5 nautical miles; meanwhile, the Northern Sea route is 7.3 nautical miles long. This has led some to argue that the latter will cost less than the former, however, this is not true due to the fact that the former does not have ice caps and does not require extra vessels to clear the way; the latter does. Understanding that there will be a need for extra vessels to clear the way is important because it decapitates another argument that is used in support of the Northern Sea route: Less money will be spent on the salaries and ships’ charter because of the reduction in travel time. However, this argument proves falls when we consider that vessels will be needed to clear up the way, meaning that there will be a need to hire people for these vessels—research has shown that there will be a need for a vessel in front of and after the main shipping vessel. This means that the amount that will be saved due to the reduction in travel time will be spent on the sister vessels that will ensure the way is suitable. Moreover, there is a danger of hitting an ice cap or getting stuck between ice caps if there are no sister vessels. This gives us two choices: Either always ensure there are two sister vessels to clear the way; only use the route for three months every year; or, face the danger of getting stuck. The final option could cost shipping companies, as well as insurers, billions. Perhaps the only positive factor that the Northern Route has is the lack of a queue. The Northern Sea path comes as part of Russia’s economic development. “This is a matter of national pride … if Russia wants to maintain strong, economic development, the Northern Sea Route is part of that,” Humpert said. “Russian natural gas producer Novatek delivered the first ever liquefied natural gas (LNG) cargo to China via the Northern Sea Route in July,” writes Jacobsen. However, Russia is not the only country that is competing with Egypt for its spot as the owner of the number shipping route in the world. In January, China also announced that it is working on establishing a “Polar Silk Road” by “developing shipping lanes opened up by global warming and encouraging enterprises to build infrastructure in the Arctic,” according to Jacobsen.